Fibroids are abnormal growths of the muscle wall of the womb or uterus. Uterine fibroids are the most common tumours of the female genital tract. You might hear them referred to as “fibroids” or by several other names, including leiomyoma, leiomyomata, myoma and fibromyoma. Fibroids are non-cancerous (benign) growths. While fibroids do not always cause symptoms, their size and location can lead to problems for some women including painful or heavy periods and pressure symptoms. Fibroids may occur in a number of locations. They most commonly lie in the wall of the uterus (intramural fibroids) but may protrude either outside the uterus or into the cavity of the uterus. Uterine fibroids are very common. The number of women who have fibroids increases with age until menopause: about 20 percent of women in their 20s have fibroids, 30 percent in their 30s and 40 percent in their 40s. From 20 percent to 40 percent of women aged 35 and older have uterine fibroids of a significant size. Fibroids are more common in certain ethnic groups. Do Nothing - Fibroids are very common and only need treatment if causing problems such as pain, heavy menstrual bleeding or pressure on adjacent organs such as the bladder. Medical treatment with tablets or injections to manipulate hormones that affect fibroid growth. Fibroids tend to regrow on discontinuation of treatment. Myomectomy is a surgical procedure that removes just the fibroids, not the entire uterus. Not all fibroids are suitable and the surgery may carry a risk of conversion to hysterectomy due to blood loss. Your gynaecologist can discuss the risks in your particular case. Hysterectomy is the most common current therapy for women who have fibroids and is effective in essentially all cases in which bleeding is a problem. Although a more major undertaking than some of the other options with a longer recovery period hysterectomy is the best choice for many women and should not be excluded. Endometrial Ablation is a treatment particularly suited to subendometrial fibroids lying under the lining of the cavity of the uterus. There are various types of endometrial ablation including Bipolar Impedence Ablation performed by gynaecologists via a probe inserted through the cervix. 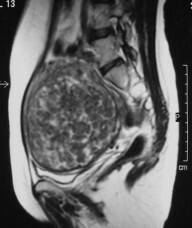 Uterine artery embolisation (UAE), also known asUterine fibroid embolisation (UFE) is a more recent treatment first used clinically for fibroids in Paris in the early 1990s although used for other indications before then. Over 400,000 fibroid embolisations have now been performed worldwide and the procedure is now a mainstream option. .
MRI Guided Focused Ultrasound Ablation (MRgFUS)which focuses ultrasound waves on the fibroids and destroys them. Availability is limited at present and it is only suitable for certain types of fibroids.